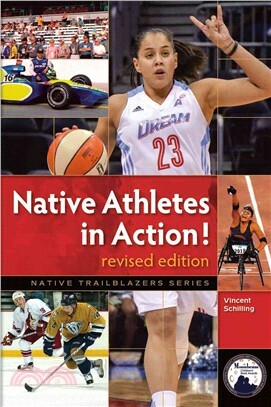 The revised edition of Native Athletes in Action adds two new and exciting young basketball players to the roster of outstanding Native athletes already included in the book. Shoni Schimmel, a tribal member of the Confederated Tribes of the Umatilla Indian Reservation in eastern Oregon, has earned the nicknames “The Umatilla Thrilla” and “Showtime” in the world of women's basketball. To people in Indian Country, Shoni is an absolute hero. Kenny Dobbs, aka “The Dunk Inventor,” is a member of the Choctaw Nation of Oklahoma and has toured the globe with the National Basketball Association as a celebrity dunker for sold-out shows. The biographies of all thirteen athletes describe the hard work, determination and education it took to accomplish their dreams and become the champions they are.